Brief Synopsis – A detective who goes down the path of alcohol and drugs after a mishap tries to get his life back together while trying to help a young woman who claims that she is being threatened. My Take on it – This is a film that I had heard of yet never had the opportunity to see what it was all about until now. Jeff Bridges once again shows how great an actor he can be and manages to tackle such a difficult role with what seems like ease. The character’s ups and downs are portrayed quite well and we can believe the roller coaster ride that he endures throughout. The premise works very realistically and they manage to keep things both surprising and intriguing throughout. The supporting cast is filled with some great actors like Andy Garcia and Rosanna Arquette but neither seems to be given enough to make their characters seem realistic enough that we can care about what they do. The story flows quite well throughout and manages to take us to some very dark places that are presented in a genuine fashion. 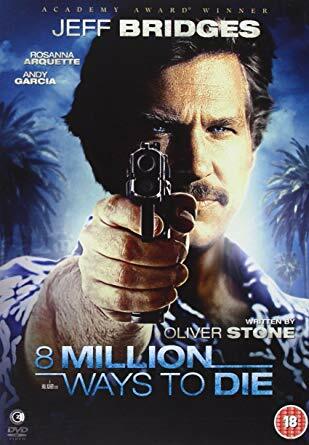 The Mexican standoff towards the end of the film is done really well and they manage to keep things both gripping and unpredictable all the way until the end. Bottom Line – Very interesting crime thriller that manages to keep things intriguing and surprising throughout. Bridges is great in the lead but unfortunately none of the other cast members are able to give realistic performances of characters we can care about. The story moves quite fluidly and it takes us to some very dark places along the way. The Mexican standoff at the end works really well and helps keep things quite unpredictable all the way until the very end. Recommended!